"I want to learn how my genetics may impact my health." Genetic testing is often recommended to people once they have been diagnosed with a disease, or if a family history of genetic disease is revealed. However, even those without a strong personal or family health history of genetic disease can benefit from genetic testing. Approximately 1 out of every 6 individuals will have an actionable finding from genetic testing of common diseases that will change their care. You can be proactive about your health and about exploring your DNA. A genetic expert can help you evaluate your risks and guide you in making an informed decision about genetic testing. If you are interested, we order the appropriate tests and coordinate the convenient collection of a DNA sample. 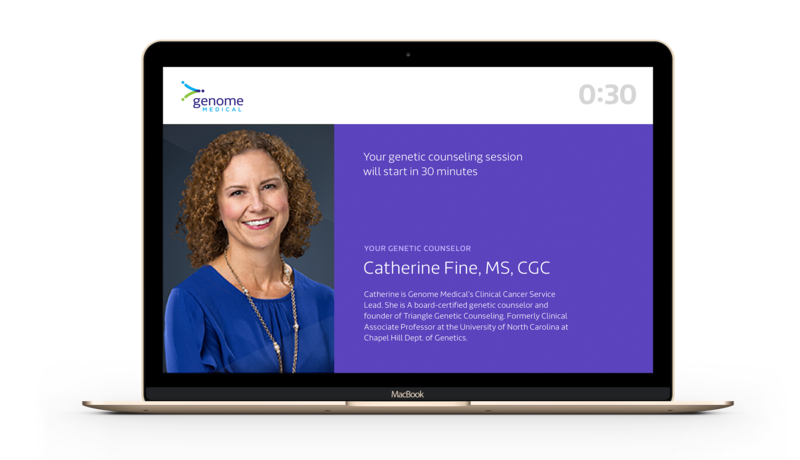 We review and interpret your genetic test results and then help you understand any implications on your health. We provide actionable steps and work with your primary care provider to incorporate the information into your regular health care. Proactive Genomic Exploration not what you’re looking for? We have other genetic wellness options for you and your family.